Millennials are drawn to credit card issuers that offer technology, maximum rewards, low fees, and social responsibility. How can credit unions position themselves to meet the needs of millennial members? Millennials (ages 18-34) will make up an estimated 50 percent of the global workforce by 2020 and are expected to control between $19 trillion and $24 trillion in buying power, according to timetrade. Because their attitudes, beliefs, and preferences were shaped by the unique era in which they were raised, millennials have different consumer needs and expectations than previous generations. Millennial financial habits may defy expectations. They expressed a greater preference for credit cards over other payment methods than any other age group (Diagram 1) and they are the fastest growing card-member base for credit unions. FICO reported in October that the percent of millennials using credit unions for their primary bank account rose to 20% in 2016, up from 15% the previous year. Credit unions have a unique opportunity to increase member growth among millennials as long as they remain aware of their particular needs, especially in the payments space. Credit unions need to adjust strategic decisions around marketing and product offerings to reach and engage millennials. Millennials seek the convenient, integrated, real-time experience provided by modern technology, including the chance to engage companies via multiple digital channels. An increase in readily available consumer data, and a decrease in overall brand loyalty, may make millennials less willing to give institutions a second chance if a customer service response leaves them unsatisfied. One study revealed that millennials are more likely than other generations to change financial institutions when they are unhappy with their current level of customer service. This puts any service provider, including financial services providers, at a crossroads where they must decide whether to meet the needs of millennials through robust digital and mobile capabilities. 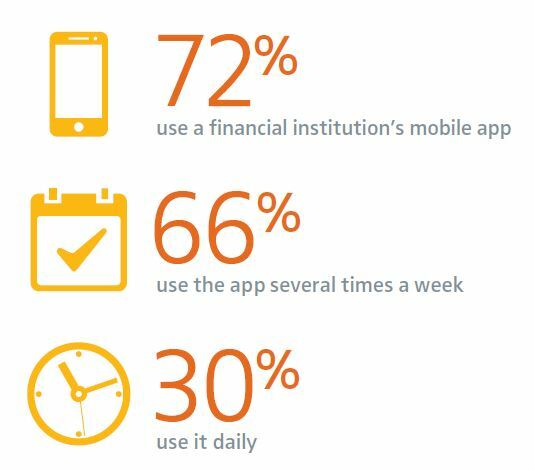 The greatest investment financial institutions can make to attract millennials is creating and maintaining digital platforms that meet this member segment’s needs. Tight budgets, resulting from student loan debt and the cost of living, draw millennials to high-value reward offerings. Rewards cards now make up more than 80% of all credit cards, so competition among issuers is fierce. Approximately eight out of ten millennials say they would switch financial institutions if one offered more or better rewards on their credit card. The need for relevant and attractive credit card rewards is crucial to attracting and retaining millennials — as is making sure the rewards proposition remains competitive. While cash back is the most popular reward among millennials, they also desire points and travel rewards (Diagram 2). Visa reports that points and travel rewards cards have increased in popularity, particularly among older, higher-value millennials (ages 25-34), with travel card portfolios seeing the highest level of spend. For example, Uber recently introduced a new credit card targeting millennials that offers rewards through points: one percent is worth one point. The card provides 4% back on dining at restaurants, bars, and takeout including UberEats, 3% back on travel, and 2% back on online purchases. Ninety-three percent of millennials say no or low-fee banking is important when choosing a financial institution for their credit card needs, according to a Harris poll. Credit unions are attractive to this age group because of their low, transparent fee structures and better interest rates. Although credit unions may offer the no or low-fee products millennials desire, they often find it challenging to create the right marketing strategies and employ targeted marketing channels to convey the benefits of their product offerings. Millennials are attracted to authentic brands with a cause and are willing to pay a higher price for products if there is a clear social or community benefit. Credit unions are uniquely positioned to benefit from this since social responsibility is woven into their mission. According to CUNA, “Credit unions exist to serve our members, not make a profit. Our goal is to serve all of our members well, including those of modest means — every member counts.” Credit unions are able to plan flexibly and build trust among millennial members through the community-building, nonprofit nature of their institutions. Mobile capabilities are especially important to a generation that prefers to manage all aspects of their lives, including finances, through mobile devices. The truth is evident: millennials want mobile capabilities. To effectively capture market share, credit unions must offer technological conveniences that attract and retain millennial cardholders, while dealing with the high cost and time investment needed to develop and deploy them. Choosing a credit card partner that offers digital services, best-in-class rewards, and mobile capabilities allows credit unions to provide attractive products to millennials without significant upfront investment. Elan offers credit union partners a credit card product suite with robust rewards to meet member needs—including the millennial segment. By partnering with Elan, credit unions can offer valuable mobile payment options such as Apple Pay, Android Pay, Samsung Pay, and Microsoft Wallet, and access to digital servicing and acquisition channels. Partner credit unions have free access to a robust marketing engine to generate new member accounts. They can also offer members tools to help them learn how to manage credit, including a revamped credit education website, Smart Credit Matters. In addition, Elan invests in digital innovations, including text alert capabilities, a Geolocation Service App, and fingerprint authentication for mobile applications. Elan Mobile Services delivers real-time, interactive alerts that allow the cardholder to identify unauthorized or suspected fraudulent activity as it occurs. A variety of activity alerts provide transparency and allow cardholders to effectively manage card accounts. Cardholders may enroll and set alert preferences for dependent cards and turn a registered card on and off between purchases (with no disruption to recurring bill payments). Click here to download the full Millennials whitepaper. For 50 years, Elan has delivered best-in-class credit card products and services to its valued financial institution partners. Today, Elan helps nearly 1,400 financial institutions manage the changing fraud landscape, using the strategies mentioned above, along with many other industry leading trends. Year after year, our partners remain pleased with the Elan solution, as Elan has seen a more than 95% renewal rate. For more information, visit www.cupartnership.com. This article appeared originally on CreditUnions.com in February 2018.